China-based TCL is selling TVs hand over fist, taking market share from Vizio and other big TV brands in the US. 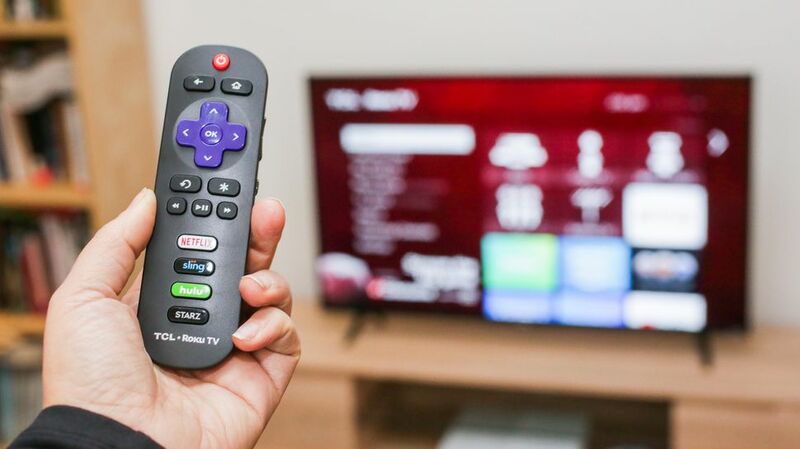 It has grown 60 percent in each of the last two years, according to market research firm NPD, and its Roku TVs continue to dominate Amazon’s best-seller lists. 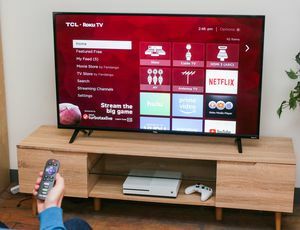 At CNET our favorite TCL is the 6 series, with the best picture quality for the money of any TV we’ve tested. But cheaper models, namely the TCL 3 and 4 series reviewed here, are the ones that remain the most popular. Let’s get one thing out of the way first: Their picture quality is mediocre. They can’t compete with more expensive sets for black level performance, contrast or pop. If you want a home theater-worthy image in a budget set, start with the Vizio E series — just keep in mind that it’s not available in sizes under 43 inches. On the other hand, mediocre might be good enough for you, especially if you’re buying a smaller set for secondary viewing or you just want the cheapest smart TV you can get. As long as you don’t expect too much, you might be perfectly satisfied with a TCL 3 or 4 series, especially for the price. And if nothing else, I predict you’ll like its built-in Roku. There’s a lot of different models in these series so before we get into it, here’s how they break down. We’ve reviewed the S305 and S405 in 2017 and for this review we compared them to two new 2019 review samples, the 43-inch 43S325 and the 50-inch 50S425. Yes, the cosmetics are slightly different, with the newer sets having black stand legs instead of silver, and slightly different frames around the picture. We also saw some minor differences in image quality (see below for details). But overall not much has changed in two years, and the CNET ratings are the same for all of them. In other words, you’re fine buying the 2017 (S305 and S405) versions for as long as they remain on the market. TCL’s representative said they’d be slowly phased out and replaced by the newer models (S325 and S425) this year. Here’s where I mention that the S305 and S325 models have 720p in the 32-inch size, and 1080p resolution (aka full HD) in the 40- and 43-inch sizes, and they can’t do high dynamic range (HDR). Meanwhile the S405 and S425 models have 4K resolution and HDR capability. As you can see on the chart, for most sizes there’s no overlap: The 32- and 40-inch sizes are HD only, while the 50-, 55- and 65-inch sizes are 4K HDR only. Most people choose a TV size first, then worry about everything else, so there’s not much of a choice in those sizes. Where sizes overlap (43- and 49-inch) there’s typically $30 to $70 difference. For most buyers in this price range, I don’t think it’s worth paying that difference. You’re better off saving the money and getting the 1080p, HD, non-HDR versions instead of the 4K HDR versions. Yes, you could see some improvement in image quality with some 4K HDR material, but it will be minor at best. See the image quality section below for more. The Roku TV remote is super-simple. The best thing about the 3 and 4 series TVs is built-in Roku. It gives you dead-simple access to just about every streaming app available, including Netflix, YouTube, Amazon Prime Video, Hulu, Sling TV, Pluto TV and more. Since the apps are built-in, you can get to them faster and easier than via an external streamer, which requires switching inputs and probably juggling a second remote. 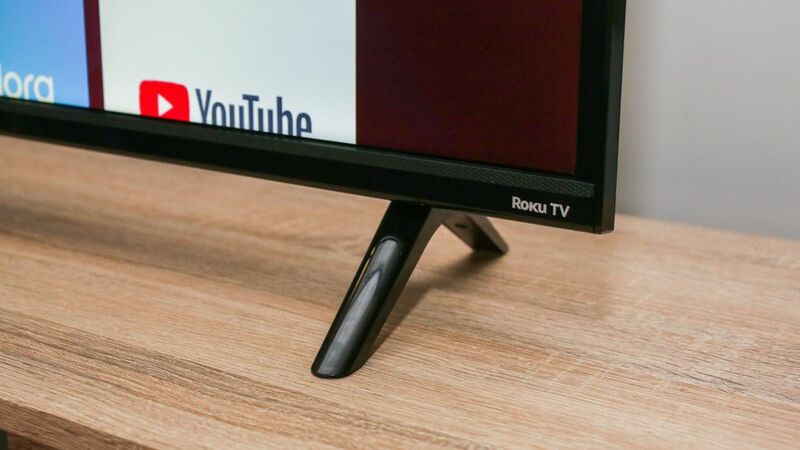 Of course you can connect other gear (like game consoles or Blu-ray players) to these Roku TVs too, and they have some cool features for people who use an over-the-air antenna to get free TV. Roku TV’s main competitor is Amazon’s Fire TV Edition sets by Toshiba and Insignia. Amazon has its advantages, especially when it comes to voice control with Alexa. But I still like Roku better overall because its menu system is more neutral — it doesn’t force-feed you Amazon Prime TV shows and movies. This article first appeared on CNET Most Popular. Read the original article. © Copyright 2018 - Distracted Doctoring. All Rights Reserved. If you want to contact with author then you must be register or login . Your Mail Is successfully Send.